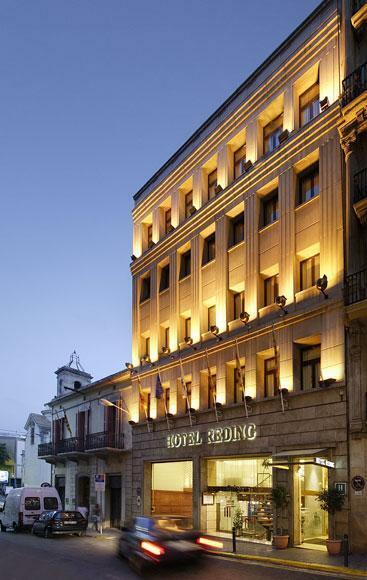 The hotel Reding overlooks Via Gravina de Barcelona, on the side of calle Pelayo, 1 minute away from Plaza Catalunya! Comfortable social area with various services and rooms: relax, Tv and DVD player, games. Reception: The reception is situated on the ground floor: cosy, sunny and comfortable, with the access to the café, to the internet room and to other floors. Café: Our modern café is the ideal place where to rest after a day spent visiting the town and where to enjoy tasting coffees. 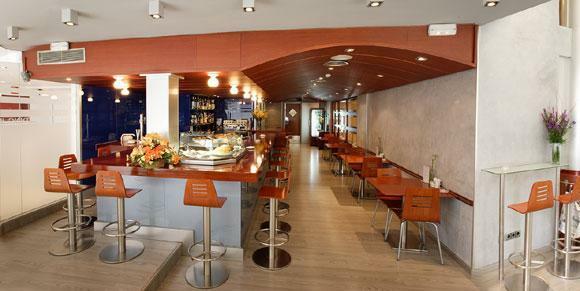 Besides a wide range of snacks and drinks, all tables offer internet access to get your lap-top on line. 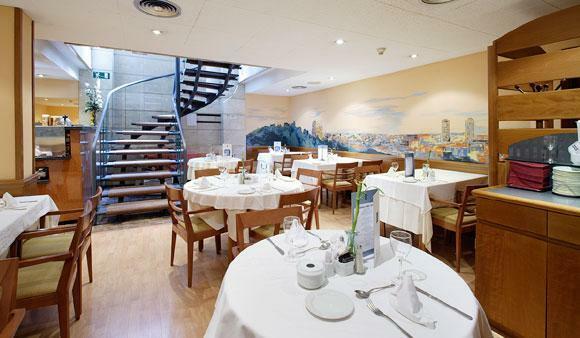 Function room equipped for business meetings and conferences. TV, projector (upon request), overhead projector, direct telephone line, attendants room, photocopy, work menu, coffee and cocktails.